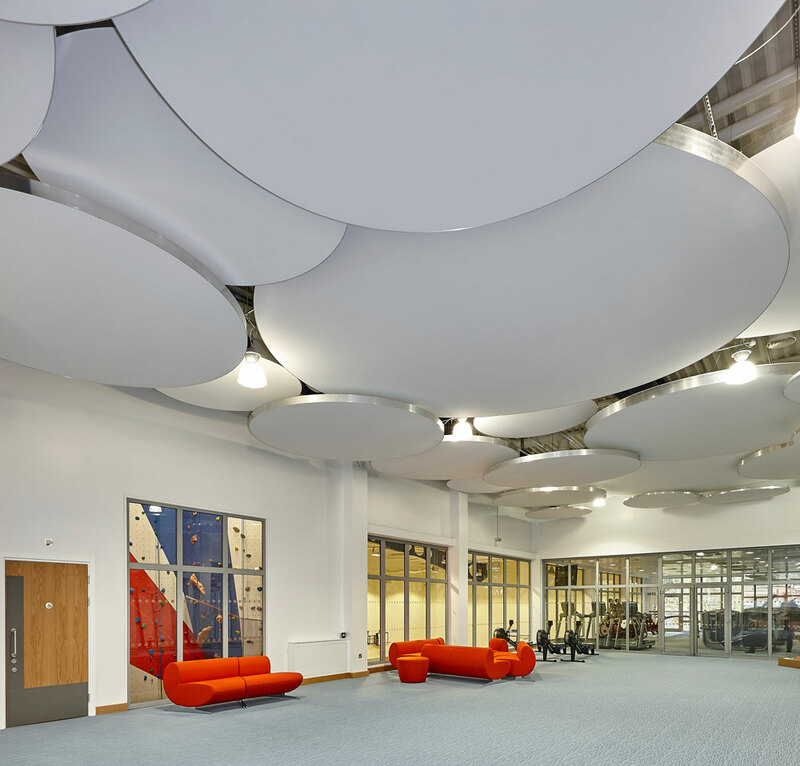 BH&M Architects wanted to create a visually stunning but acoustically effective feature ceiling for this high profile building and The Haberdashers Askes Boy's School in Elstree. 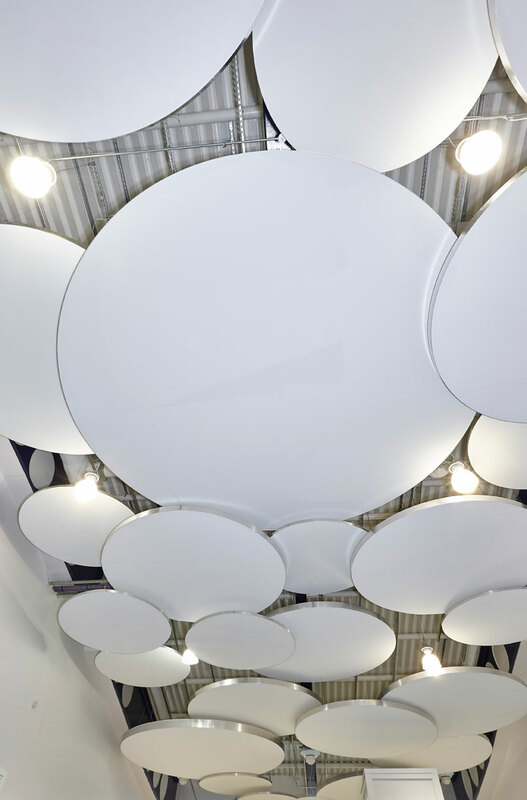 The original scheme was for large circles, traditionally the design would only have been realised using suspended ceiling rafts or by making plasterboard rafts, both of these methods would have been heavy, visually compromised and not befitting of such a prestigious project. John Amann, the architect for the project at the design stage, asked Acoustic GRG if we could suggest a solution – we suggested Clipso. The rafts are manufactured using Clipso wide format fabrics and the Clipso aluminum frame sections. The framing forms the large circles, while the 5m wide fabric allowed us to make rafts in 1 piece. We used a combination of 5m, 4m, 3m and 2m wide sections and suspended them at the required heights, this allowed the architects original design to be realised in a cost effective, lightweight and high performance panel system. Constructed on site and Installed by our team of installers - Quietwall. © Copyright 2008-2019 Acoustic GRG Products Ltd/RPG Europe. All content from RPG Inc used with Permission.